Whoa – Amazon just announced that it is acquiring Eero, one of the first (and best) mesh WiFi companies. All of the details for the future of Eero were not laid out today, but Amazon did confirm that they will continue to innovate in the WiFi space. For those not familiar, Eero was first introduced in early 2016 as a whole-home WiFi solution. It featured WiFi modules that could be placed throughout a home to expand coverage beyond just your typical WiFi router that sits in a corner in your office. The devices looked minimal, blended in with decor, and produced pretty good speeds. The entire experience was controlled through a slick and oft-updated app, available on both iOS and Android. 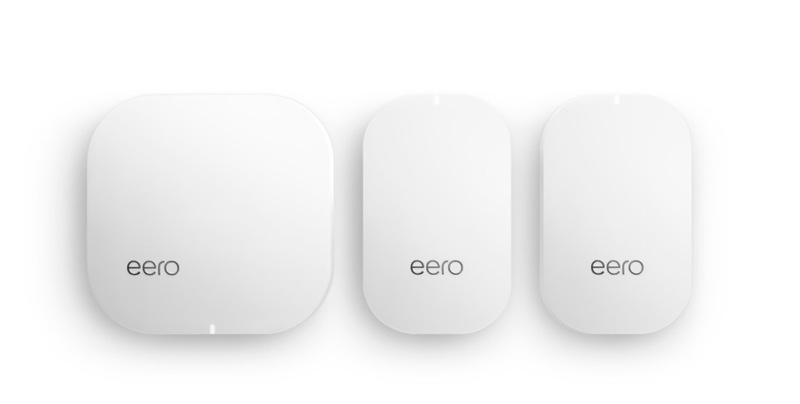 In case you didn’t know, I’m a big Eero fan. Eero has since released new versions and added new features and (paid) services to its app. It has also seen stiff competition arrive, with companies like Google and other network leaders creating similar mesh systems. Eero has likely struggled to compete some, because it hasn’t been able to keep prices as low as competitors, even if its product is probably as good-if-not-better than most. Should Amazon complete its acquisition, I can’t imagine this won’t be great news for Eero owners and those interested in their products. No promises were made about prices being lowered, but Eero’s CEO Nick Weaver said that this move helps them accelerate their mission to “bring eero systems to more customers around the globe.” If anything, this is an investment in Eero by a company that can help them continue to make WiFi magic happen.